Fun to chew and full of surprises! 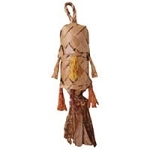 This toy is sure to keep your birds entertained for hours. 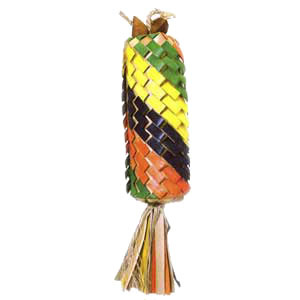 Handmade with colorful woven palm leaf. Large is about 12" tall and 3.5" in diameter.